Manufacturer of Attic Ease kits. Attic Ease kits are a complete system. Each kit contains: 1. Brass or Satin/Nickel fashion "pull ring" for replacing existing "dangling attic cords." 2. Custom solid oak (mahogany finished" "reach hook" for accessing existing recessed attic stairs. 3. 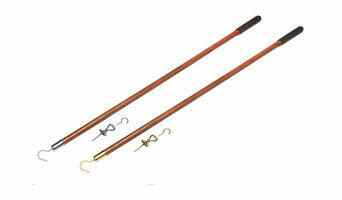 Brass or Satin/Nickel fashion "storage hook" for storing "reach hook" when not in use. All Pro Stairs is the premier DFW stair manufacturer with experience in designing, building and installing the finest Interior Stairs. We are able to satisfy a variety of style choices from traditional to contemporary. Our Philosophy is to give you the staircase of your dreams, so that the day you decide to dream again, we are the only stair provider you call to help you along the way... We are able to satisfy a variety of style choices from traditional to contemporary, through varied wood species to glass, iron, brass, Stainless Steel Horizontal Systems (Wire/ Cable & Rods), or metal stairs. We have over 15 years of experience serving the DFW area. we specialize in new construction homes and home renovation. our low price competition and great quality of work have made us a great reputation among our customers. We are a small company dedicated to providing the highest quality of work and the best customer service experience. We go above and beyond to ensure our customers are more than satisfied with their completed work. We have over 25 years of experience in serving the DFW metroplex area. We can help with all stair installation and remodeling projects. We do Traditional, contemporary, metal systems, and glass systems. We can build your new stair rail or remodel your existing one. We have hundreds of satisfied customers around the DFW metroplex and get a large amount of our business from referrals. Call us today for a free quote! We are a small local business focused on steel railings. Our niche is contemporary steel railings. 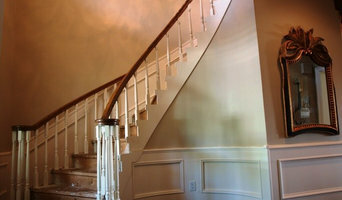 At McFadden Stairs we are Expert Designers, Manufacturers, and Installers of Custom Staircases. Specializing in Exotic Wood, Metal, and Glass — Serving the Dallas-Ft Worth Metroplex since 1986. Our business is built "a step above the rest" on integrity, customer service, and quality. Staircase designs also vary greatly – from the offbeat to the grandiose – making it imperative that you work with a Dallas, TX designer who understands your style and can work to your budget. 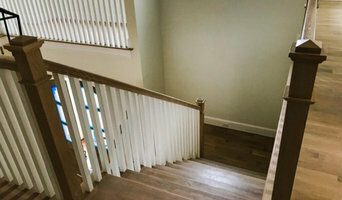 From treads and risers, to balustrades, banisters and handrails, the Dallas, TX professionals in this category can design, supply and install stairs or the components that will complete your stairway to heaven. Whether you need to replace a handrail, want to update your glass balustrade, or need a complete stair installation, there’s a professional in Dallas, TX who can help you through the process, from start to finish. Find Dallas, TX manufacturers, suppliers and installers of stairs on Houzz. Scroll through this page to find companies that manufacture, supply and install stairs in your area. You can browse their portfolios, read reviews and see how other tradesmen and homeowners rate their customer service, expertise and product. Here are some related professionals and vendors to complement the work of staircases & balustrades: Architects, Interior Designers & Decorators, Carpenters, Design & Construction Firms.